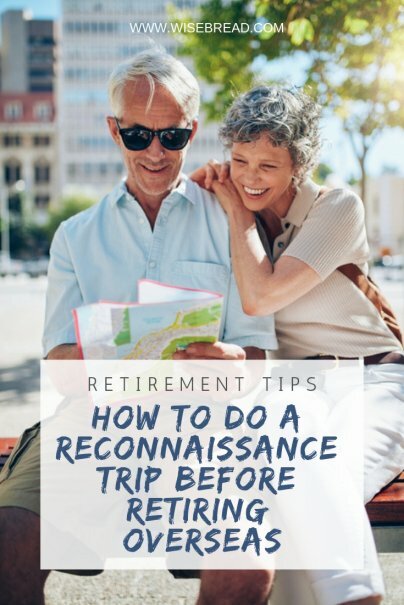 Making the decision to retire abroad is a huge step for anyone, even if you're a seasoned world traveler. Perhaps you've spent significant periods of your life overseas exploring various locations, but making the move to another country is entirely different. It can be a daunting prospect, but you should do thorough research rather than making this kind of decision on a whim. The best place to start on your reconnaissance mission is to get the lowdown from people in the know. People who live and work in your potential destination can provide you with personal accounts of the important aspects of everyday life. Some of the most insightful people to arrange to meet prior to arriving will be expats. Ideally they'll be from the same country as you, and also retired. This way, they'll know exactly what you need to do before you leave, and once you arrive. You'll also learn the pros and cons of that particular area, which will help you make your decision. While it may be more difficult to set up these meetings in advance, it should be very easy to meet locals when you arrive. This will mean taking the lead and striking up conversations with people wherever you go. Locals might even provide you with alternative views to the expats you meet and mention aspects of living abroad you haven't yet considered. If you don't speak the local language, you'll be relying on meeting locals who speak English. Visit places that are likely to attract tourists, as most locals who work within this area will speak English. Bars, restaurants, cafes, and shopping centers are all good options. "What is the quality of the healthcare system like, and how does it work?" "What's the one thing you like least about living here?" "What do you wish you knew before making the move yourself?" "Is it necessary to speak the language, or can you get by with some basics?" "What do you miss most about home?" One of the most important things to get right when you move overseas is to find the right place to call home, so meeting with a few realtors should be a top priority. Keep in mind there's only so much research you can do online, and it could turn out to be a costly mistake if you purchase or rent a place without seeing it in person beforehand. Narrow your search down to a few neighborhoods you're considering. Google Street View is a useful tool to help you get a visual idea of what the areas are like. It's essential to remain open-minded when you're looking for property overseas, because depending on where you are, it might be very different than what you're used to at home. Though there's no set time frame for a reconnaissance visit, you should really stay as long as you can. Between one to three months would be a solid test run for living there, but clearly not everyone will be in a position to do that. Just know that a one-week trip probably isn't going to be enough time to see everything you need to see, and the less it feels like a vacation, the more you'll understand what living there is truly like.